How come he never accidentally ate Toadstool? In an announcement that will make many of us feel like time is slipping away a little too fast, the Super Mario series is 25 years old today. It's been quarter of century since the plucky little plumber bounded onto our pixelated screens, slightly camp and less useful brother in tow, in Super Mario Bros. Since then, we've had sequels, the Mario Kart series, Mario Party, Super Smash Bros, Super Mario World, Super Mario Galaxy... although the less said about Super Mario Paper the better. He's also (rather polygamously) saved many princesses, evaded a dragon on so many occasions it might as well give up, played football at a high level... the whole time sustaining himself with perception-altering flowers and fungi. 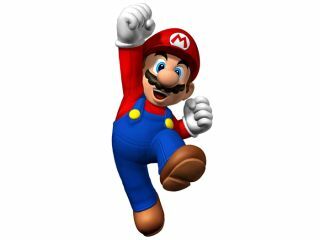 Of course, Mario himself is actually 29 (at least), having first made his console appearance in 1981 on the barrel-rolling fun-fest Donkey Kong - although going under the pseudonym Jumpman. And he obviously impressed enough (or bedded the right people) to get his own spin-off, with game designer Shigeru Miyamoto making him into the eponymous hero we know today. "Stimulated by advancements in technologies, we have always enjoyed creating the Super Mario Bros. games," said Miyamoto, general manager of Nintendo's Entertainment Analysis and Development division. "The series has always taken advantage of the latest technological advancements and is the fruit of creativity of many of my hard-working friends working closely as a team." We still think he could lose some weight though - he's been running and jumping around for years with great athleticism, so perhaps his diet is all wrong.